OnePlus CEO Pete Lau knows that fans weren't happy about the decision to ditch the 3.5mm headphone port from the OnePlus 6T and wants to do something about it. In a post on Chinese social network Weibo, the 43-year-old executive defended the decision to drop the universal audio port in favour of wireless or USB-C headphones. Lau also suggested that binning the 3.5mm port has allowed the Shenzhen-based company to focus on "polishing" its wireless headphone experience. OnePlus already sells a pair of Bluetooth headphones, known as Bullet Wireless, but while these are "very good", CEO Pete Lau believes a new version "can be even more extreme". Bullets Wireless currently offer eight-hour battery life, as well as fast-charging using the same technology that powers OnePlus' market-leading solution on its handsets. However, these £69 ($69) in-ear headphones still rely on a chunky neckband to house the battery and have cables running from the earbuds – unlike True Wireless rivals from the likes of Apple AirPods and Samsung Galaxy Buds. That's what form the next-generation Bluetooth-powered headphones are likely to take. Unfortunately, Pete Lau stops short of confirming that in his Weibo post. Instead, the OnePlus executive calls on his followers to suggest new features and ideas for future audio kit from the company in the comments below the post. Elsewhere, OnePlus' next flagship smartphone is widely-tipped to feature an all-screen design – dropping the small, dewdrop notch seen on the OnePlus 6T and rehouses the front-facing to a drawer that pops-up from the top of the device. You can also expect the in-display fingerprint scanner to make a return, as well as the improved fast-charging that debuted with the OnePlus 6T McLaren Edition. OnePlus is tipped to bring a triple-camera set-up to the back of its device for improved zoom functionality, like the 10x optical zoom achieved by a prototype triple-camera system from Oppo that was previewed at MWC last month. 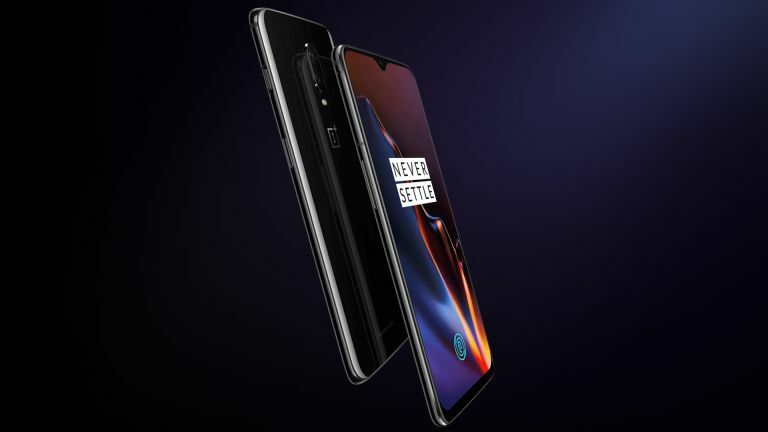 Leaked renders published on smartphone comparison site Tiger Mobiles seemingly confirm that OnePlus 7 will use the same two-tone gradient effect as seen on rival handsets including the P20 Pro and Mate 20 Pro.